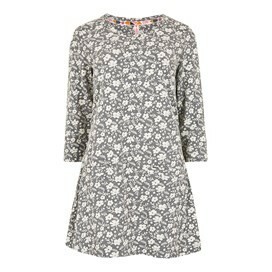 Wear the pretty Amber floral jacquard tunic for a relaxed but stylish tunic that's perfect for the weekend. 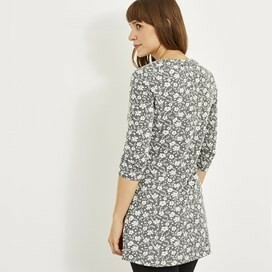 We've made our floral tunic incredibly soft with a little bit of stretch to make sure you feel comfortable for longer. 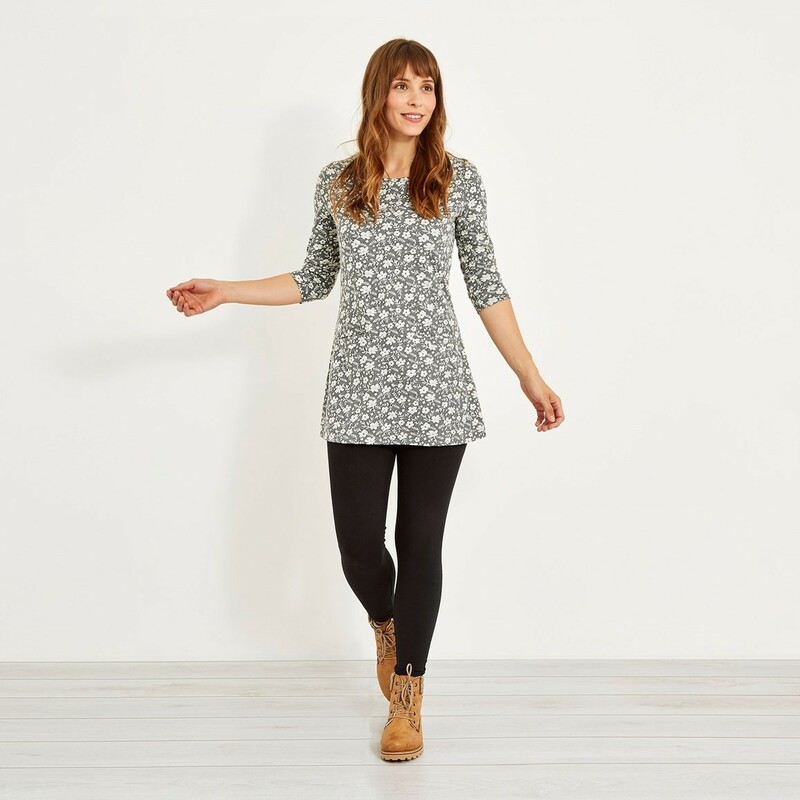 A flattering fit, and a beautiful jacquard pattern the Amber falls to mid-thigh with a feminine round neck and 3/4 length sleeves. Lightweight and breathable, the Amber looks just as good as it feels to wear. 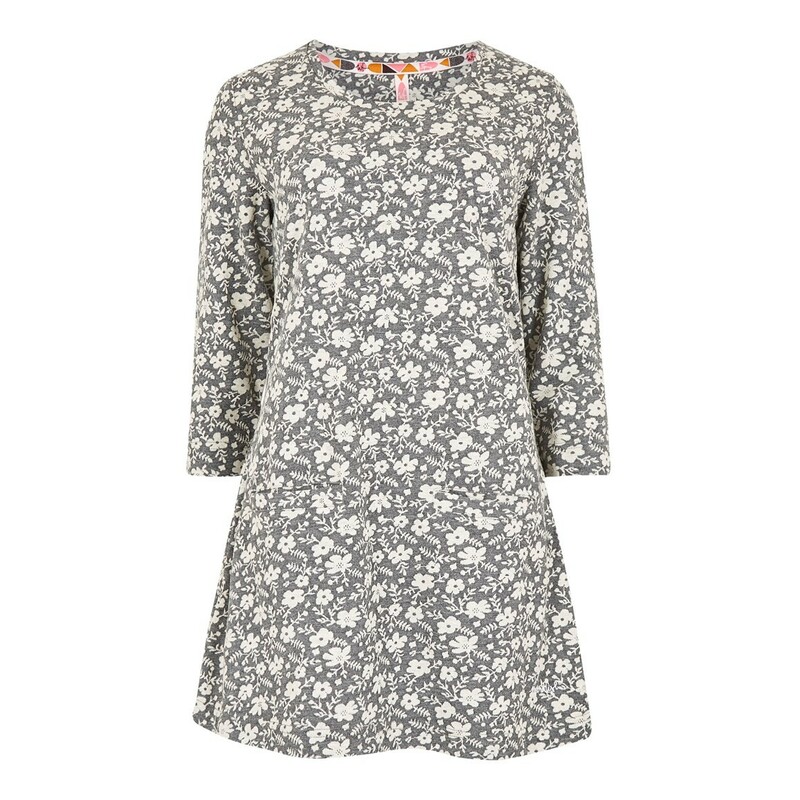 Team with jeans or leggings for a chic weekend look. Just my kind of top, great print and material/cut make it fall nicely. Washed well too. Only gripe is that I'm a small size 12 (often a 10) and even so this size 12 is a bit skimpy across the shoulders. Time will tell if it continues to wear well, but I hope so as it wasn't a cheap buy. VERY COMFORTABLE AND GREAT POCKETS. 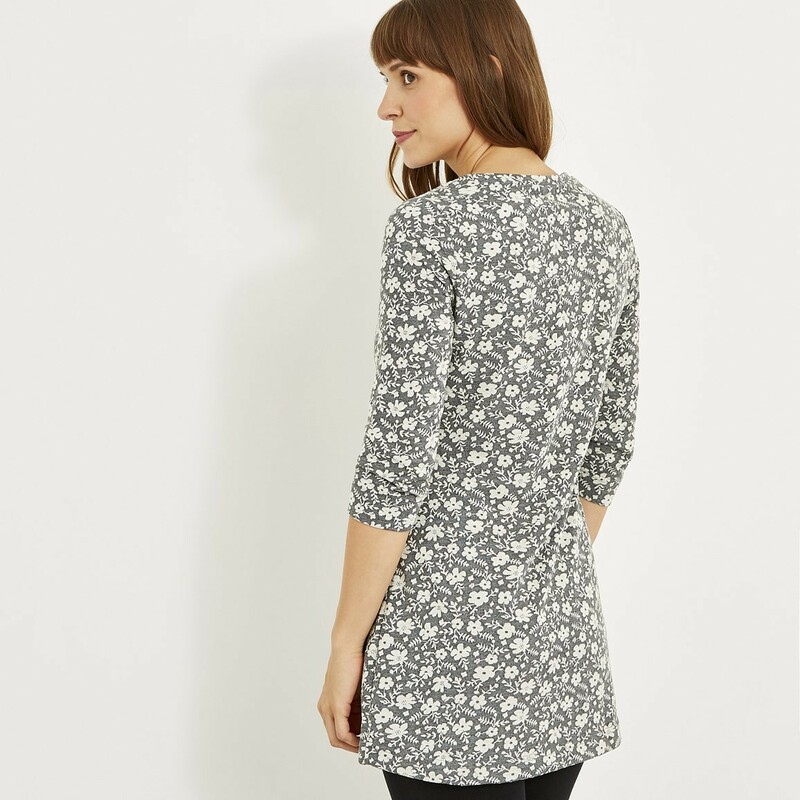 I've bought jacquard tunics from Weirdfish before, and they've always been good quality and worth the extra price. Unfortunately this year's is not. It's very thin and light, and not as well fitted as previous years. It's a shame because the print and colour are nice, it's just not worth the higher price for the quality unfortunately. I've returned and as always Weirdfish have dealt with it promptly.